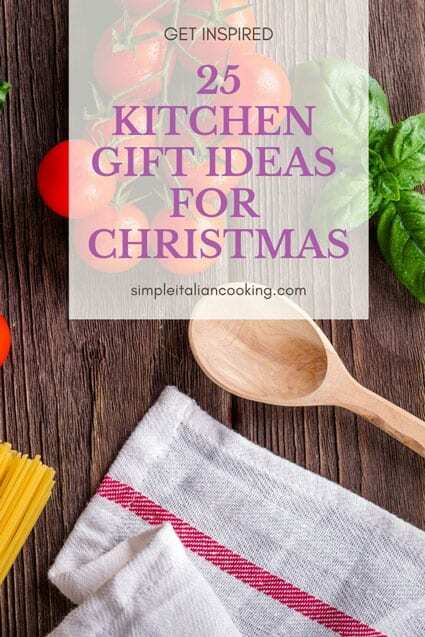 Kitchen themed Christmas gift ideas for the home cook are great no matter what the occasion, but here are some fun and practical ideas that may help you with some ideas or may help you generate your own ideas. for the little extra push for those wanting to eat healthier. This is an item people often say, “I should get one sometime”, but they never do. This will help inspire them to eat healthier as part of their New Years Resolution! – These come in various varieties. I have the Philips Pasta Maker and did a video and review on it, but you can get the manual kinds as well. I’d recommend making sure to get ones that are stainless steel if you go the manual route. I have to say however, I love my Philips and it is quick and easy to use, and easy to clean as well. – These are huge time savers. We all love homemade bread but who has time to do all the work? With a bread maker machine all you do is pour in the ingredients and the machine handles everything from there! They range from under $100 to much higher depending on quality and various features. – We purchased one of these a few months ago and use it for both coffee and just boiling water for tea. We love it and the stainless steel makes it easy to clean and lasts for a long time. Some people love french coffee presses. It’s a unique gift, and for the coffee lover, this might be a great hit! – Who doesn’t want a new cutlery set?! Here are some options that might help. – Stainless steel bowls are very lightweight and easy to clean. We have a great set, and just purchased some new ones that have silicone bottoms so they don’t slide on the counter – we love them! These are great for anyone who does any cooking! – For those who don’t always use their phones for playing music, these are appreciated and out of the way. A nice touch to any kitchen where the cook enjoys playing their music while they cook or bake. There are lots of styles out there, so you won’t have a problem finding one that fits the purpose. From simple digital thermometers to ones with extensions to keep inside the oven with timers and beepers. These are easy to clean and can be run through the dishwasher with heat settings. They last and stack well. Any serious baker or cook won’t complain about having too many measuring spoons and cups! – There are some great humorous styles and ones that are pretty professional looking. Many people take their pizza cutters seriously! – While we use the Magic Bullet in our kitchen and love it, there are other brands that work just as well. Keep in mind to pick a style that accommodates what they are looking to use it for. However most will have a variety of blades that can be used for juicing, chopping, or blending. These take up minimal space and are simple and easy to clean. – These allow you to grab a bunch of fresh herbs and chop them much faster than with a standard scissors. These are popular and are just an all out cool gift, especially for the avid gardener. Well, not the most romantic gift, but it’s still pretty cool. We also have one of these and love it. These really do work! After rinsing your lettuce or other veggies, place them in the bowl and use the spinner. It spins the excess water out and you’re left with nice dry lettuce ready to serve without dripping water droplets all over the place. If someone doesn’t have much storage space in their kitchen, this may not be the best gift as it will take up some space. 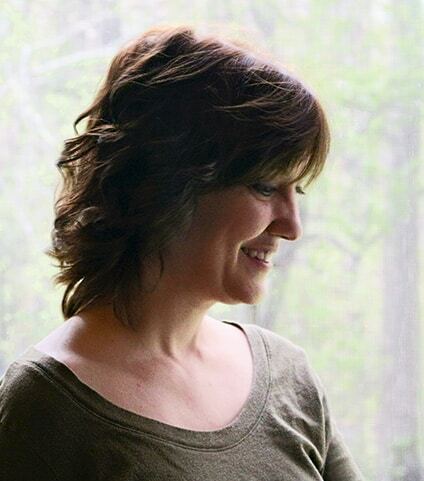 So many of us use Pinterest or recipe specific websites to find last minute inspiration. It’s always a pain having to pick up the phone to look at the next set of instructions, so why not use a holder that keeps it angled just right on the counter! – These are a fun gift, but super practical. They don’t mold, and are easier to clean than regular kitchen sponges. Check them out, you might buy some for yourself! (keep upright and saves space!) – These are gaining in popularity, but one thing that is overlooked is the practicality. When using a ladle we typically lay it down thus taking up space on the counter. In this case, the bottoms are flat and keep the ladle upright thus saving space! – This is a fun gift for the breakfast cook! Make your own burritos in style every time! (We have this and it’s great! Cooks two at a time!) – Another breakfast kitchen small appliance, this waffle maker cooks two at once – just like the ones you see in hotels. We use this quite a bit and love it due to the time it saves by doubling the waffle productivity output! – While these are certainly catching on in popularity, many people love using their air fryers! use it for french fries, meats, or other cooking delights. These provide a healthier alternative to standard frying and obviously avoid the mess!